Dog & Pig Design - What is SEO? Having good SEO means that your website will have great usability, user experience and provide an excellent customer experience. This is done through innovative technology and a well mapped out website that ensures the site works well as one, providing internal links throughout to ensure the customer can find exactly what they are looking for with ease. What many people don’t realise is that SEO is not just about the technology on your website. Other factors such as producing relevant, interesting content for your target market that’s consistent and fresh works wonders. Furthermore figuring out how to amplify these blog posts or web pages through influencer outreach, PR or social media for example pays wonders! 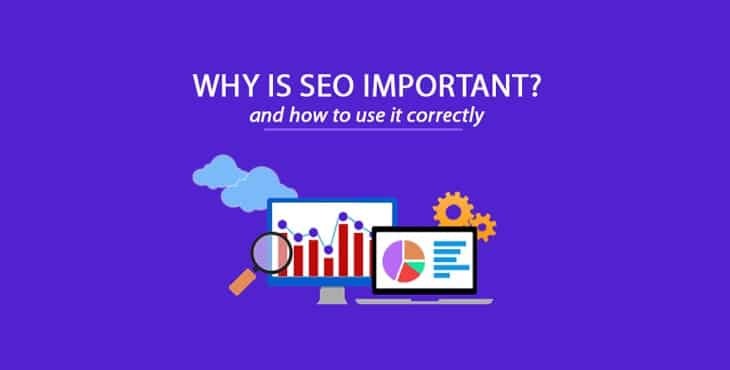 Having more people pointing to your site will build the trust within the search engines algorithm and therefore push up your website as a whole. Ensure you have a well developed website from the beginning that works technically, particularly in terms of internal linking and low loading speeds for example. Keep links to site consistent, don’t over do it as this will get flagged as spam. They key is in consistency! Work with high quality influencers and PR, you don’t want lots of websites in lower domain authorities pointing at your site. You want to get as high as possible. Creating great content is key. If content is naturally shareable, it makes your job much easier. SEO is not a quick fix. You need to keep working at it over time and optimising as per the latest Google algorithms. A test and learn strategy will definitely pay off – see what works and keep adapting to get it right. Think from a customer perspective – is this the best customer experience and journey on your website? What would make it better or stand out as innovative from your competitors? If you have any questions, don’t hesitate to get in touch. We’d be happy to chat you through other SEO elements and ensure your site is optimised to the best of its advantage to ensure you’re capitalising on maximum traffic volumes.